A BOLD NEW ERA OF PULP ADVENTURE COMICS BEGINS HERE! 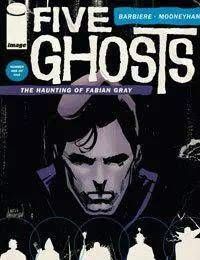 After a tragic encounter with an artifact known as The Dreamstone, infamous treasure hunter Fabian Gray was possessed by five literary ghosts and has been granted access to their unique abilities. Join writer FRANK J. BARBIERE and artist CHRIS MOONEYHAM for the most exciting debut of 2013 as they introduce you to a unique world full of action, black magic, exotic locales, and literary allusion!